504 Main by Holly Lefevre: Have You Ever Tried a Detox? I did! I am continually looking for ways to improve and sustain my health. I also truly believe that food has amazing healing powers. (a long time ago) when I was (almost) a vegan. (and it was not just because I was younger). (if you dare, you can read about my struggles with weight loss...and gain). but other moms seem to overcome these obstacles. I can truly only find fault and take responsibility myself. but having struggled with some health issues and really need to make changes. I was inspired by the journey of a long time friend LisaRenee. Last year she transformed her life and is now a Holistic Health Coach who works with busy moms who have no energy or who have auto-immune issues. She is passionate about health and well being. I followed along as she made major changes in her life. 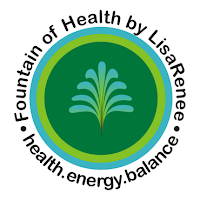 LisaRenee offers detox and cleanses as well as personalized coaching through her practice, Fountain of Health by LisaRenee. At first, I will be honest...I thought..."NO WAY!" BUT THIS ONE WAS DIFFERENT! This detox program involved real food. Real, whole, nutritious food! Now that I can do! Lisa's program was full of amazing recipes from smoothies to juices to soups and salads and snacks. I received a great guide to ease me into the detox and keep me on track as the days went by. Additionally, LisaRenee offers extra support and advice through a Facebook group. It was great to pop in every day and see how everyone was doing, share more recipes, and be supported. Why I did the Detox? I have felt tired and crummy and run down. I know what to do to be healthy...and do a lot of it...but something was not right. Too many pops and cracks and aches and pains. Of course losing some weight would be great, but my real motivation was to get my body feeling right. You start off slow by preparing for the detox for a few days. Once you have prepped...it is time to detox. You eat 5 times a day - nutritious natural whole foods - smoothies, salads, soups, and you can even include clean protein. There is no processed sugar, gluten, or dairy. I chose to do this detox vegetarian and did not include any clean animal protein. Once you are finished with the 7 day detox, there is a transition phase where you can slowly add back in other foods (healthy, whole foods). I first added in quinoa for a few days so that I could see if my body had a reaction to it. Then I added bean/legumes back in. I eat most of these foods already. I make green smoothies, and eat at least one salad a day...HOWEVER it is what I unconsciously put into my mouth that is sabotaging my efforts to feel and look good...and my 27 cups of coffee. I was motivated for this detox! I prepped my meals ahead of time...chopped, pureed, you name it. The soup recipes lasted for 2-3 meals, and the salads were a breeze to throw together. I quickly found my favorite smoothies...including one with chocolate! My biggest obstacle...NO COFFEE! Well, that is not entirely true. One cup of organic coffee was allowed every day...but I usually drink 7+ cups a day. Big challenge for me...not gonna lie! My second biggest obstacle...no bread or gluten...but that turned out to be a good thing. My third biggest obstacle...no (processed) sugar! I always think I do not eat much processed sugar...but I realized I do eat more than I thought. By the second I had a bit of a headache (caffeine withdrawals) and kind of felt crummy - almost flu-like, which is common as your body rids itself of toxins. Within a few days I started to feel great. I had tons of energy and started to look better and feel lighter (seriously)! By the end of the detox, my body felt better - the aches had almost completely stopped. By the end of the detox, I had strayed one day...but I did not dwell on it...I moved on. I made the choice to eat what I did and well...that is that! I moved on. So...drum roll please... the results. I only lost 5-6 pounds. I say only because I had higher expectations...but seriously, realistically, that is pretty good weight loss for that amount of time, and how my body felt...so worth it. What I did notice is that my middle (waist) started to re-emerge. I lost inches around my waist and through my torso. It was so nice to see that result. And might I add I did this detox while PMSing...so it is possible! I learned about my body was a surprise to me. I have had some aches and pains and uncomfortable feelings. I eliminated gluten from my diet during the detox and those aches and pains mostly went away. It got me started on a new path...I do have will power. I can be strong. I can walk away from the cookies, cupcakes, and coffee. So what do you think? Sound crazy? Radical? it is about whole real food and how it affects your body and well being and life. LisaRenee has a Sensational Summer Detox starting soon! If you are interested, pop over to read more about it! If you have any questions...leave a comment or shoot me an email. but promise to get back to you asap! Holly~ It is always good to see peoples obstacles during the detox and then see the postives.. FOR all Holly's 504main followers if you sign up for the DETOX before this Friday May 30th- I will offer you the detox for $65.00 dollars... just email me at yourfountainofhealth@yahoo.com and write in the subject 504 and I will send you a paypal invoice. THE entire Detox guide is electonically emailed to your inbox.. full of recipes, information, food diary pages, Grocery shopping list. That's amazing! Great job Holly!!! I would LOVE to do a cleansing diet like this but the challenge is that I am allergic to a lot of fruits and veggies. Ugh. Interesting read, Holly! I'm always intrigued by these detoxes. It was great to read exactly what you did and your results! It's really interesting to read your experiences, Holly. I'm doing intermittent fasting at the moment (5:2, approximately) and I'm trying to treat my fast days as little mini detoxes: not too much sugar or caffeine, and eating mostly vegetables with a few pulses. It's always a good thing when we change our diet and give our bodies what they need! Hope your surgery went well, Holly. I should do that. I've been feeling really sluggish for awhile. I haven't checked your links, I hope there are step by step instructions. Very interesting, Holly. I just don't know if I have the will power it takes. It would be difficult because I know, for sure, I would not be able to convince my husband to try it, so it would mean separate meals and meal planning, not to mention cooking stuff that I would be tempted to eat. Hope it goes really well for you and hope you will keep us posted with your new healthy lifestyle. I've been wanting to try out something like this but the coffee is going to be the hardest part... I'm one of those gals that likes a little coffee with her sugar and cream. Still may try it out though, thanks for sharing! Good good luck on this, Holly. I bet it works great. I am sooo weak when it comes to coffee, chocolate and cookies....could just live on 'em. I'll be back a little later to link to TP. Sounds very intriguing! Sounds like it helped you a lot too. I'm sure getting off the coffee was pretty tough, I don't drink it but I can see how it's difficult to drop that habit. Great job! Hi Holly! That's awesome! 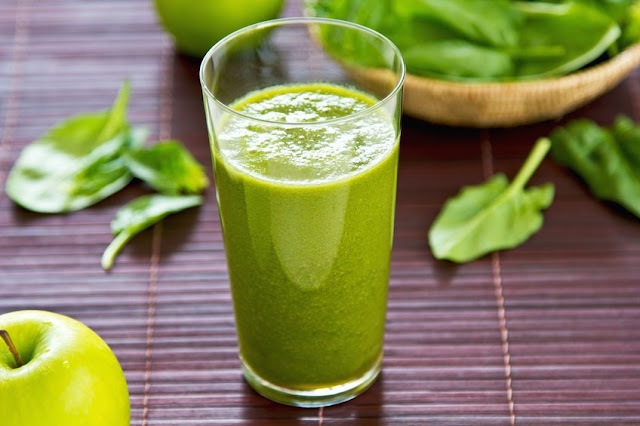 I have a whole blog post written on green smoothies, and detox - only I was a little grumpier than you! (I haven't posted yet...). I love how you shared your struggles in this post. Thank you. 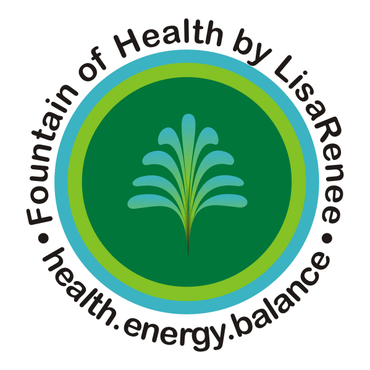 I think many of us women struggle with health and balance and I appreciate hearing your story. 7 cups of cofffee?!? No wonder you are so industrious! Now I know your secret J. Thanks for demystifying the green smoothie for me too. Hugs!